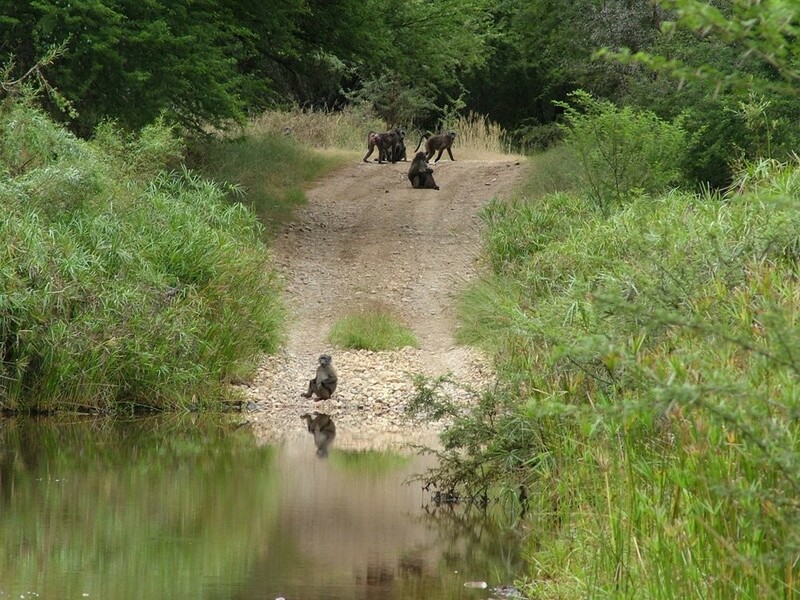 The word Baviaanskloof, although derived from the Dutch "valley of baboons", is associated with pristine nature, narrow gorges with flowing streams, steep mountain pases, vast plains with waving grasslands and views of unspoilt wilderness. 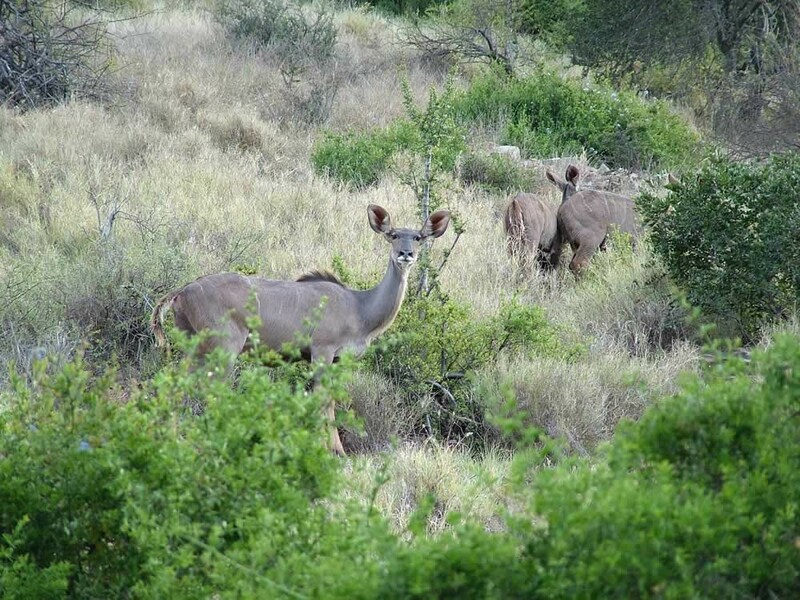 Nature has taken its course over thousands of years to create what is today universally recognised as the Baviaanskloof World Heritage Site. Few other places in the world hold evidence of the footprint of human history spanning over a million years. 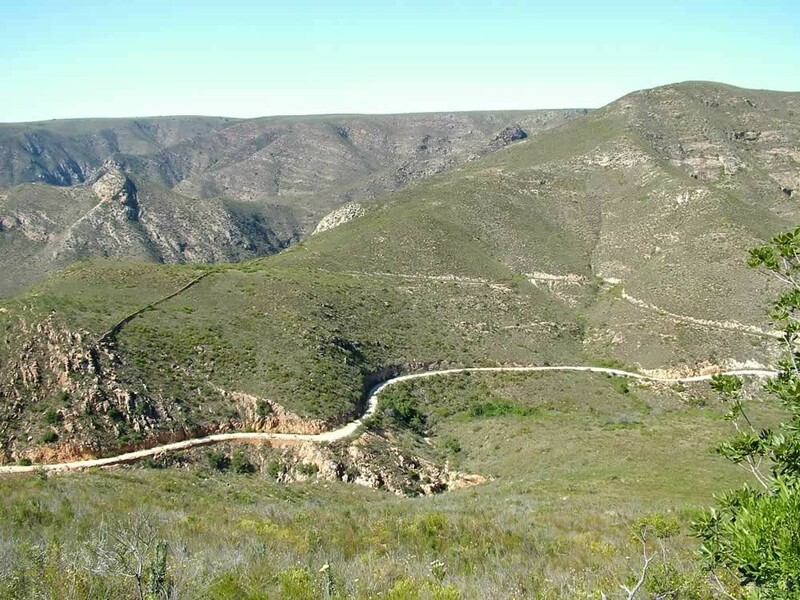 The narrow valley of the Baviaanskloof is just under 200 kilometers in length and bounded by two mountain ranges: the Baviaanskloof Mountains on the north and the Kouga mountains on the south side. 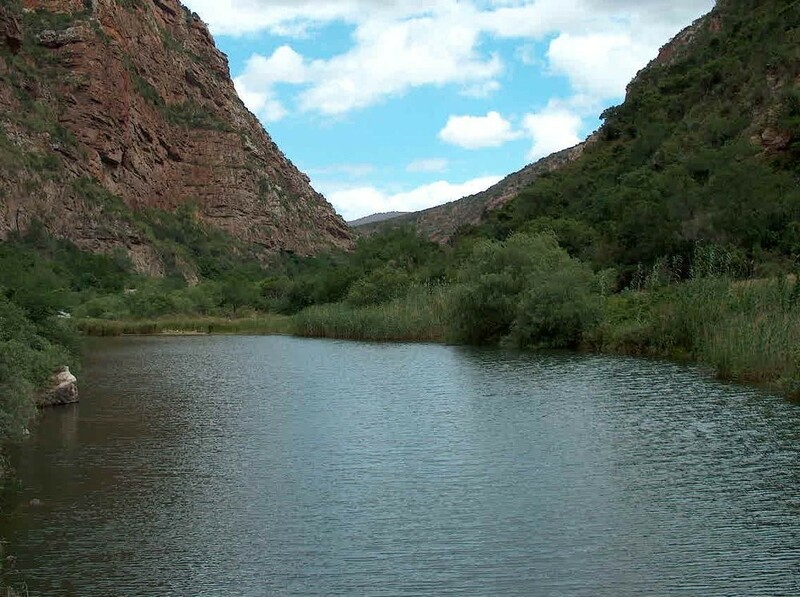 The valley lies at a lower altitude than the Karoo in the north. 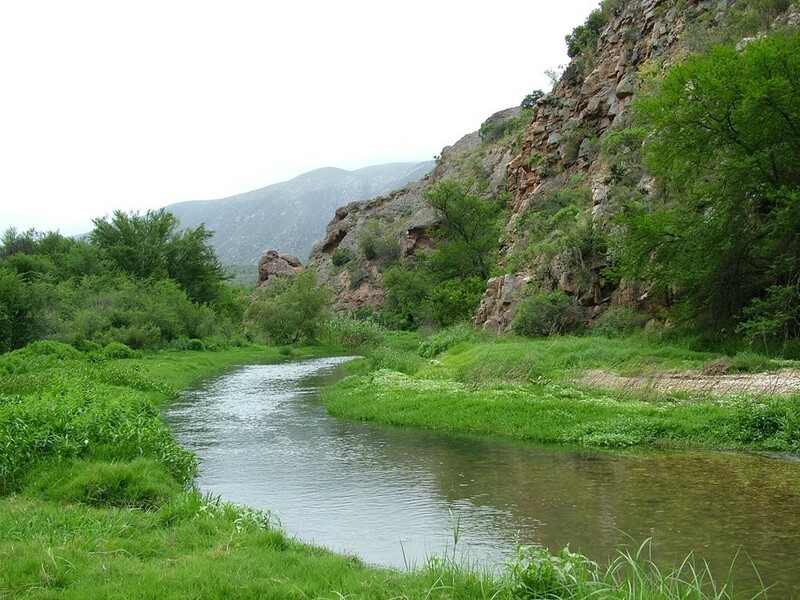 The rainfall of the Karoo thus filters through the mountains to the Baviaanskloof river. 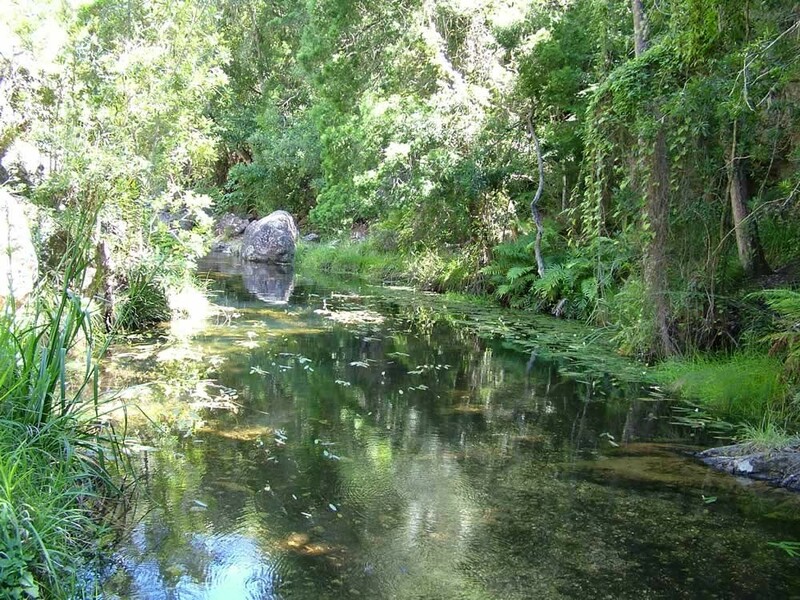 For this reason the valley is surprisingly lush and supports a wider variety of plant species than would have been otherwise expected. 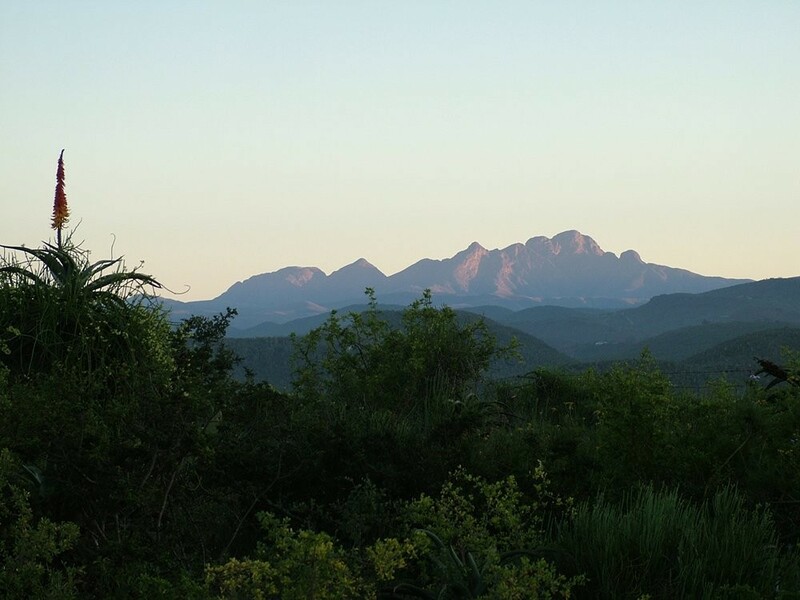 While there may be daily variations in temperature, in general summer is sunny and warm with maximum and minimum temperatures ranging between 15° and 41° Celsius. The easterly sea wind ensures wonderful cool evenings. During winter the maximum and minimum temperatures are 0° to 28° Celsius. 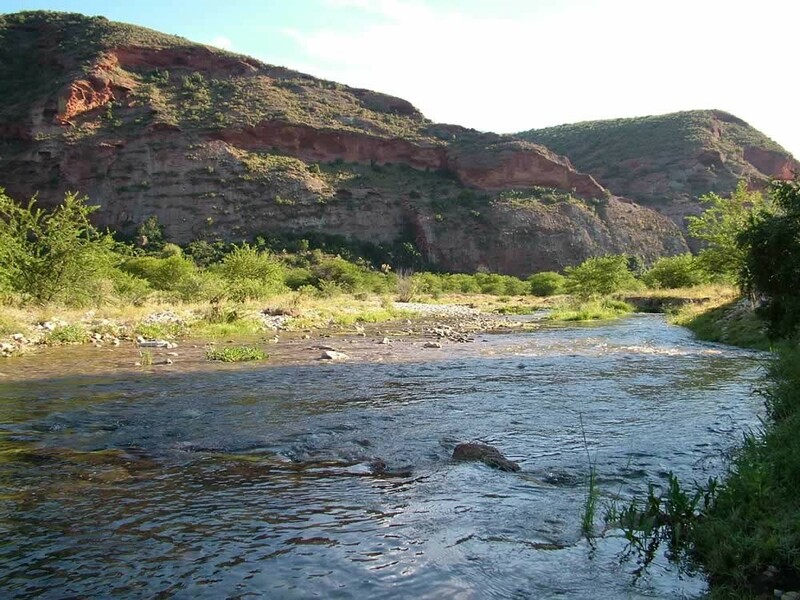 The climate remains sunny and is complemented with warm winds from the hinterland. 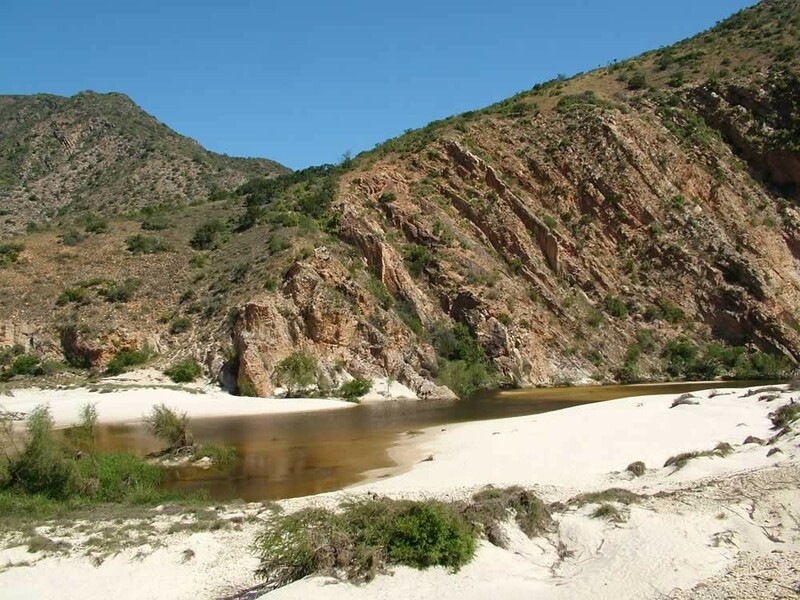 The Baviaanskloof is remarkable in terms of the diversity of its natural ecosystems. 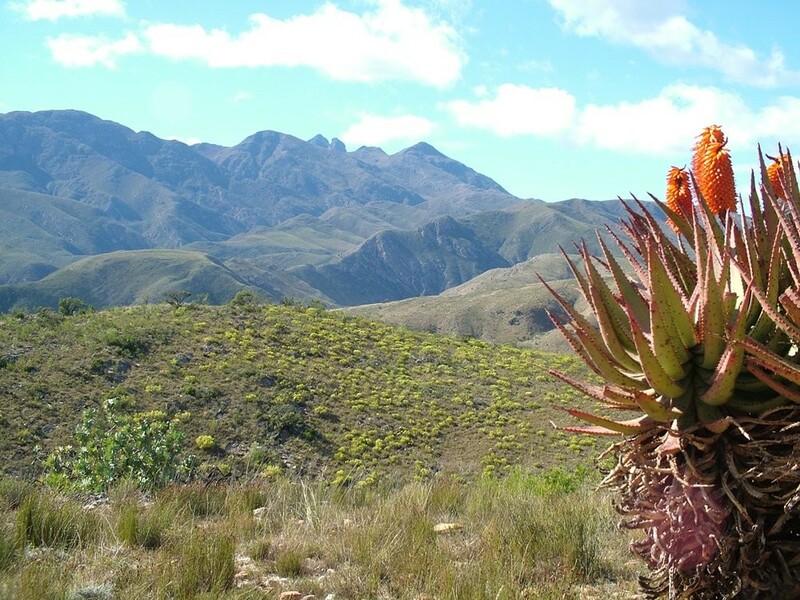 Seven of South Africa's eight biomes (major natural regions) are represented here including fynbos, forest, grassland, succulent Karoo, nama-karoo, sub-tropical thicket and savanna. 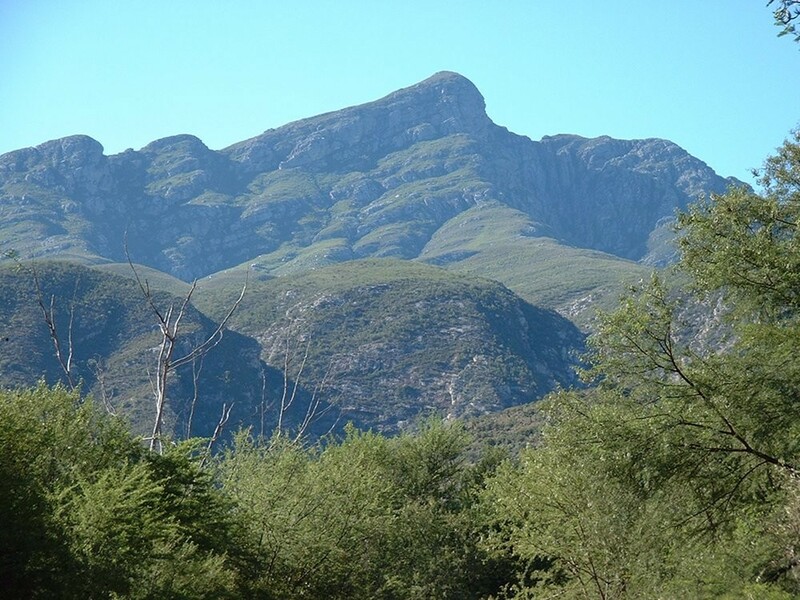 On the northern slopes are the Spekboomveld and Valley Bushveld. 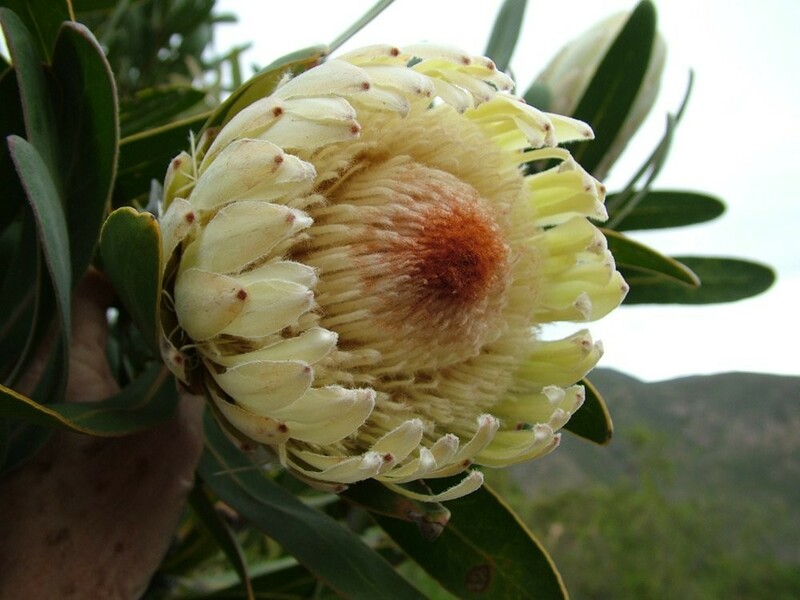 On the southern slopes flourishes the Cape Fynbos. 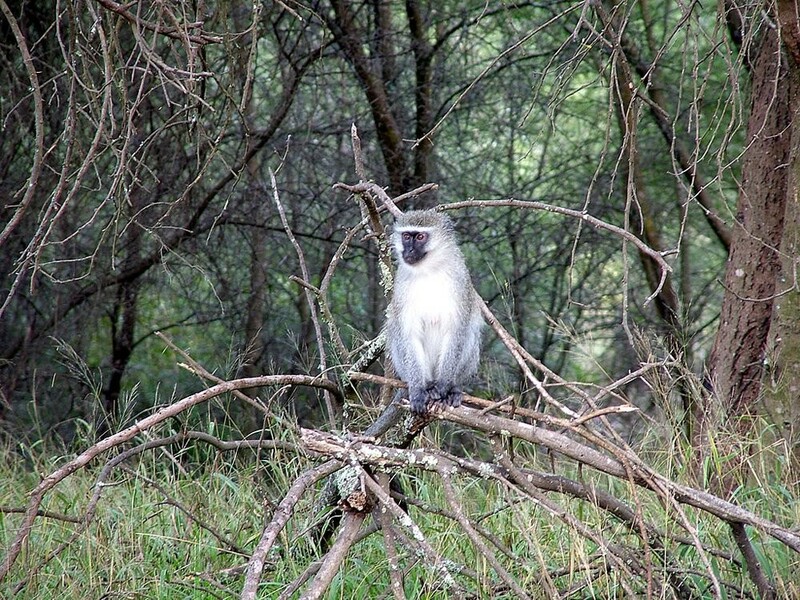 In the long side valleys is concentrated the Knysna Forest vegetation. 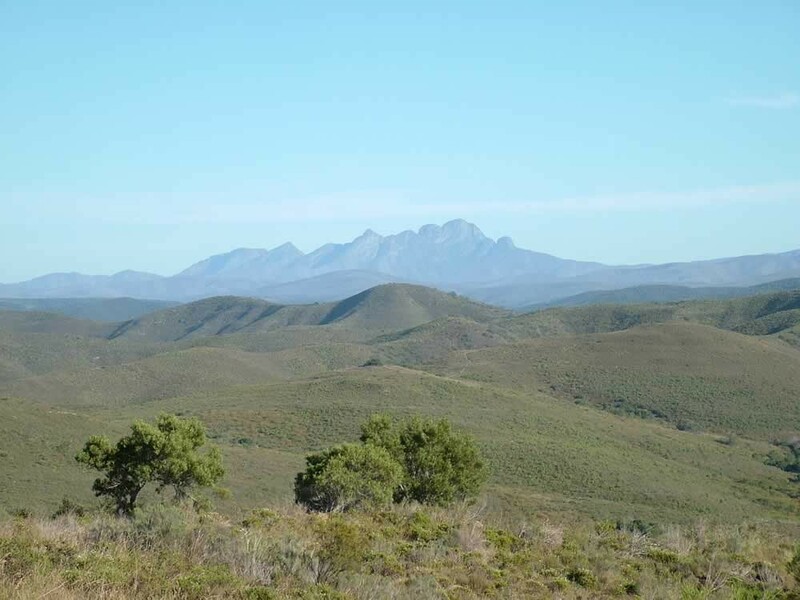 On the mountain plateaus are the Rhinoceros Veldt and Grassland.The widespread succulent Karoo bush in the valley is probably why the Baviaanskloof is classified as a part of the Little Karoo. 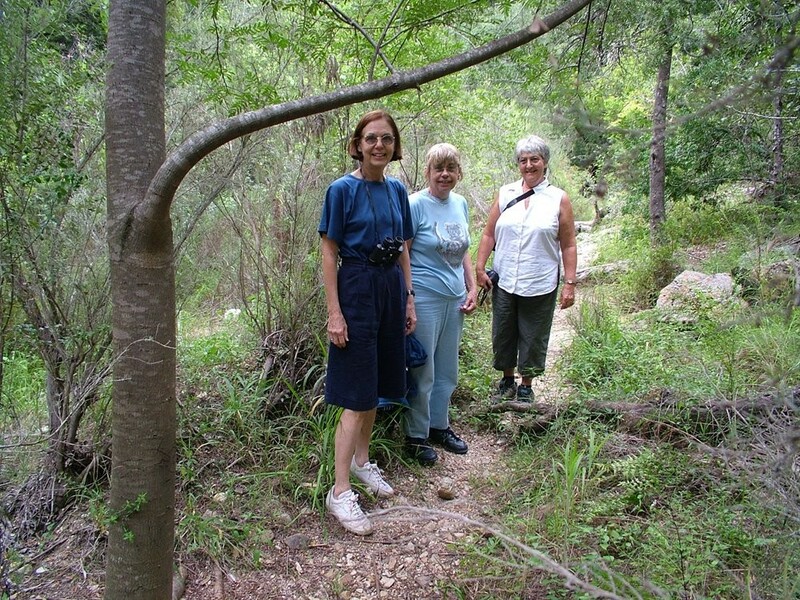 Because of this spectacular diversity of plant species, an impressive variety of birds can be found in the valley. 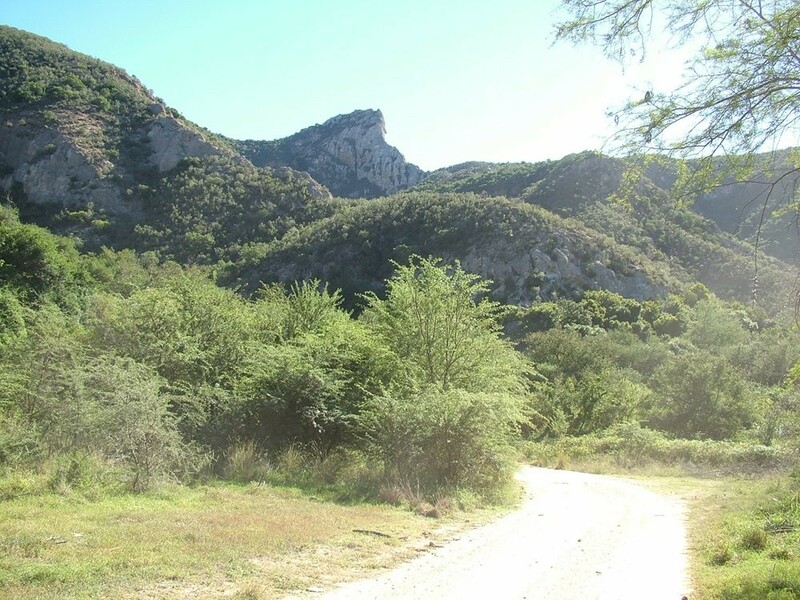 The Baviaanskloof is part of the Cape Floral Region World Heritage Site - eight protected areas covering an area of 553 000ha. 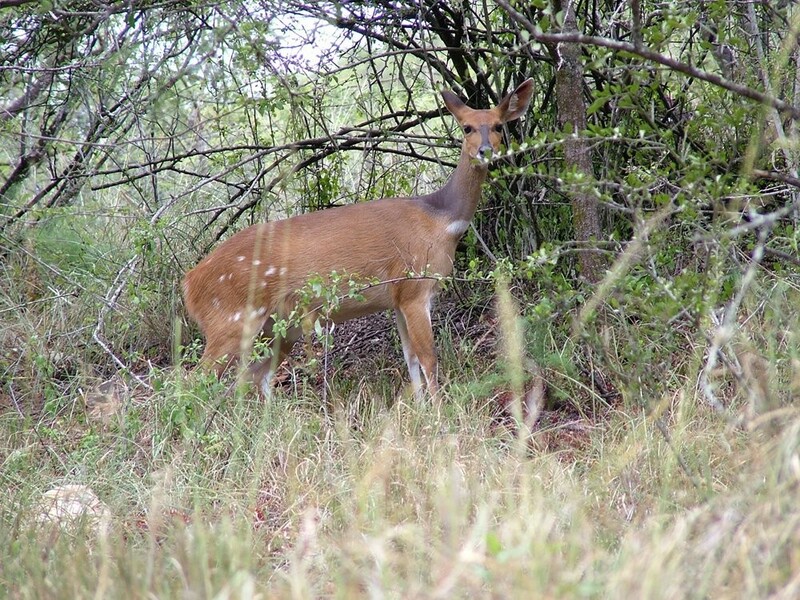 It was declared a World Heritage Site in 2004 and is one of the richest plant regions in the world - less that 0.5% of the surface area of Africa but home to nearly 20% of the continent's fauna and flora. 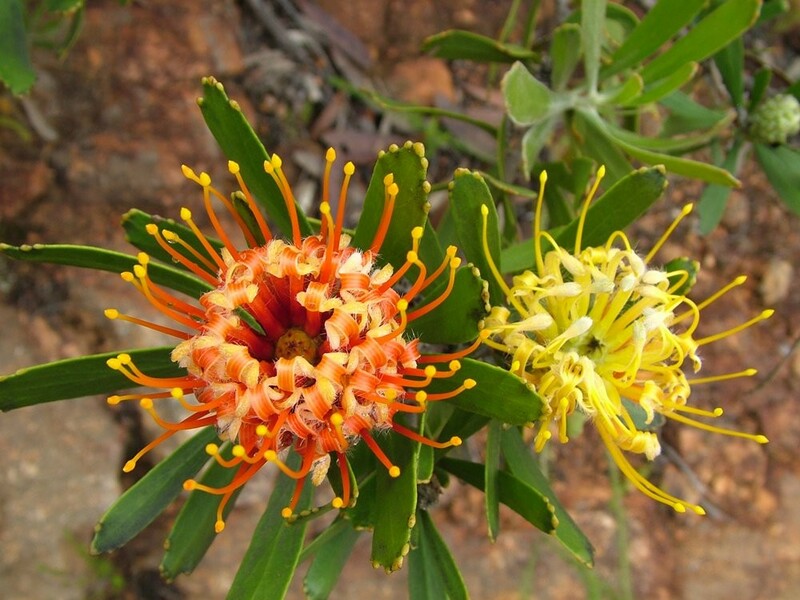 Almost 70% of the fynbos species are endemic, and the Baviaaanskloof' endemism level of 31.9% has earned it the title "hottest" of biodiversity hotspots, with three of the planet's 34 hotspots located in the Kloof.